If everyone is really turning their backs on the automobile, then why does Singer exist? I mean, there’s a very long waiting waiting list of very wealthy people excited to spend many hundreds of thousands of dollars on a car they apparently don’t want. No, it’s clearly a chore for them when they’d all rather be carted around in autonomous electric cars, because that’s the future. I mean why would anybody want a tiny loud car that actually requires effort to drive? And with 500hp in such a featherweight package, isn’t it terribly unsafe? Why would people be lining up to get their hands on something like that in 2018? 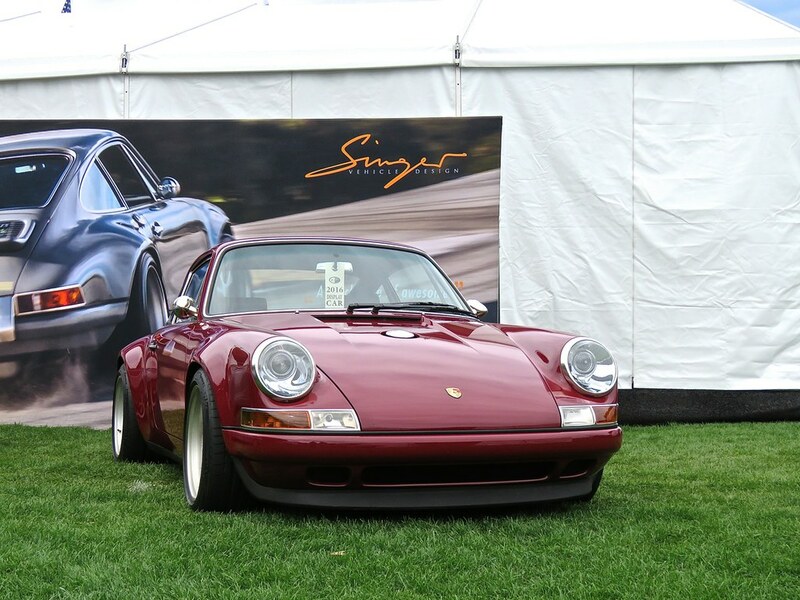 Singer 911s are truly works of art on 4 wheels. Based on the the classic recipe of the greatest sports car on Earth, Singer Vehicle Design brings an incredible level of bespoke craftsmanship to the classic 911 package. Driving wise, their cars are built to be the greatest hits album of the air-cooled 911, with modern bits where it really counts, like in the suspension or the carbon fiber bodywork. These 911s are as special as cars come, with Pagani levels of detail, but the classic 911 experience. They are the ultimate version of a classic driver’s car, made brand new for those with a few hundred grand to burn for the pleasure. The new guys at /DRIVE take the majestic Singer 911 for a spin. 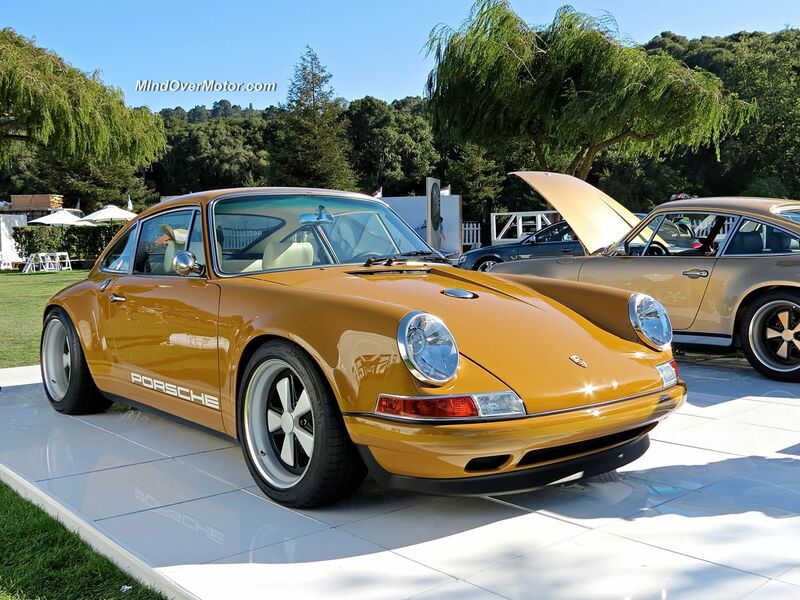 A Singer 911 is one of the most beautiful vehicles that money (a lot of money) can buy these days. The painstaking fine detail work found these cars is right up there with Pagani, in my opinion, but it comes in the familiar package of an old-school Porsche 911. There is a level of subtlety about a Singer 911 that you just don’t get with a show-stopping exotic hypercar, although it is surely no less special a machine. To most onlookers, a Singer 911 is just another Porsche rolling through town. It would take someone with a keenly trained eye to recognize the car for the rare masterpiece that it is out in the real world — at which point you can expect that person to immediately drop what they’re doing and give chase to snag a photo of it. Outside of Monterey Car Week, this is the first Singer 911 I’ve seen out and about in my area, the Northeast USA. We caught it in the car corral at the Radnor Hunt Concours d’Elegance this year, and it drew quite a crowd throughout the day. The owner was very gracious, and opened the car up to show off all of its magnificent details, which I’m now pleased to share with all of you. Enjoy the gallery of this stunning machine, and there’s more info on the car itself below. 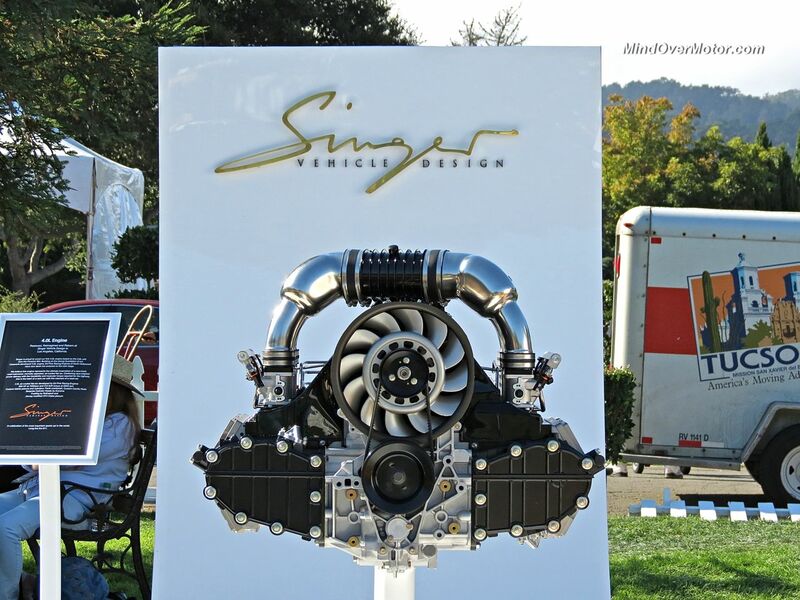 The folks at Singer Vehicle Design used the Quail to showcase their newest engine available in their custom 911s. It’s a 4.0L Flat Six, and produces a mighty 390hp. In a car weighing only around 2,600lbs, that is quite a good amount of power. In terms of power-to-weight ratio, the new 4.0L Singer actually bests the current Porsche (991) 911 GT3. But unlike the new paddle shift only GT3, the Singer offers drivers the essence of the traditional 911 driving experience. Because the Singer 911 is basically an old-school 911 that has been made brand new, I actually prefer it to new Porsches overall. Having said that, though, I should point out that you could have four 991 GT3s for the same money as a single bespoke-built Singer 911. But that isn’t my point. What the Singer proves is that there is still a demand for the old-school Porsche driving experience. That is something Porsche should really consider when developing their new products. PDK is a great gearbox, it really is, but it dulls the driving experience. In the real world, sports cars are about fun, not lap times or performance numbers. And if I’m going to have a special car to drive on sunny days, why on Earth wouldn’t I want to be as immersed in the experience as possible? That total immersion in the driving experience is what the Singer 911 offers. 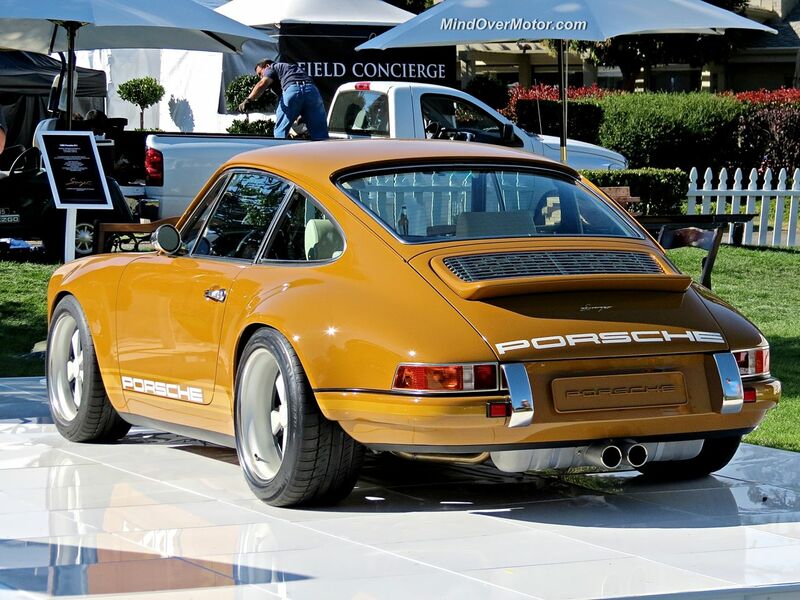 And the Singer does it in a manner that these new PDK-only Porsche models cannot ever hope to match. I don’t care how fast the new GT3, Turbo, or GT2 911s are, if they’re only available with PDK, then I’d take a Singer any day. There are always some extremely tasty cars in and around the paddock at Laguna Seca during the Monterey Motorsports Reunion. 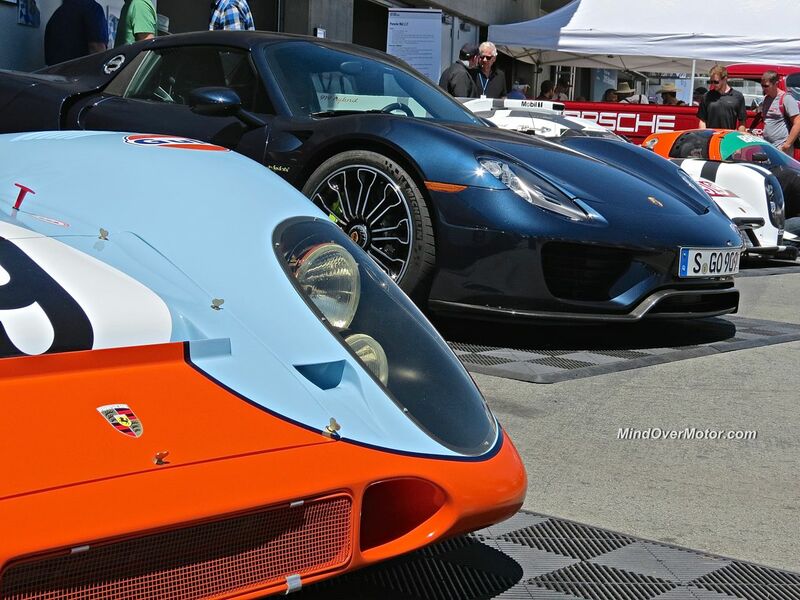 In addition to some of the most legendary racing cars of all time (see that Porsche 917 above), you are also likely to find many awesome road cars, everything from classic gems to the most current hypercars. The action in the Paddock was especially good this year. We’ll show you the racing cars later on, but we wanted to start with the road cars, which were quite a spectacle. Enjoy!